As I was walking down the street, I noticed a single flower coming up underneath a palm tree. Did someone intentionally plant it there? Did a bird drop a seed in this unlikely spot? It was so strikingly beautiful against the backdrop of gray palm bark, I just had to photograph it. It’s bloom added so much to its surroundings. Sometimes we find ourselves in a “gray” area, where joy and color are lacking in others. We can be the bright yellow flower that speaks a word of truth and love as Jesus would have us to. We can be the listener that shows concern and empathy. We can encourage and build up where there has been discouragement. 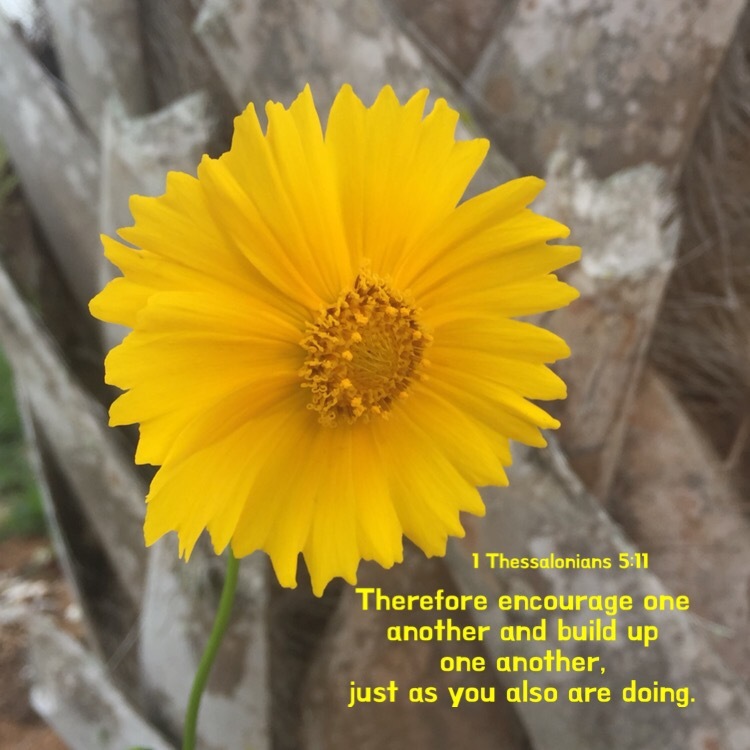 This entry was posted in Bible verses on photos, Inspirational photography, Uncategorized and tagged encourage, flower.